With continuous evolution in information technology, it has become easy for the government or any authority to ban or censor a website or content, in order to regulate the internet in their country. Subsequently, it will violate the freedom to access information rights of the citizens. 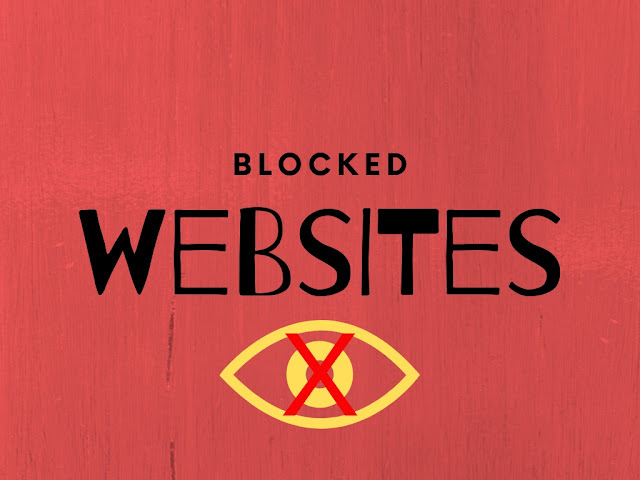 If you are annoyed or feel stifled due to banned or blocked websites in your school, office or country, here are some ways with which you can access blocked website and get all the content you were searching for. The first way to circumvent the ban is to use VPN or Virtual Private Network. Described as a tunnel that protects your information such as websites you access and thereafter converts your internet traces to a value impossible to detect or recognize. According to this source, VPN provides you reliable medium to surf to your heart’s content. To enjoy an uninterrupted web experience, you just need to sign up with many free or cheap VPN available online. All you need to do is to visit these websites, check their features and make the best choice. If you do not want to use VPN, you can use various proxy websites available online with which you can get an unrestricted web experience. This is mainly due to the fact that a proxy website retains an ability to hide the blocked website from your local service provider and enables you to access the banned website from your computer. By logging from a proxy website, you do not need any other extra facility or need to make any technical change in the software of your computer. The next way is to use educational tools such as Google Translate/Bing Translation Tool to circumvent the filters. This is predominantly because they are not banned by many countries and institutes as nobody considers them powerful enough to unblock the banned sites. The next way to access the blocked websites in your country or region is to use the internet archive through Wayback Machine. This machine can be described as an interesting service as it saves older copies of most of the websites available, some of which are presently unavailable online. As part of its service, the organization saves different versions of the same website and enables you to access the old version of any required website. Further, you can also use this medium to access the banned websites. If you do not want to use complicated methods to access a banned website, there is an easy way to accomplish your purpose. All you need to do is to download TOR Browser and you are set to access the banned content as well as blocked website while working on any network. In addition, you can work as an anonymous user. If you want to download something from the banned website and do not want to remain there for a long time, all you need to do is to use a ‘HTML to PDF’ converter tools available online. The first step in this process is to convert the required webpage to a PDF file and use the page that is available in PDF format. You can use various online tools listed in this page. If you want to access a blocked website by using a good working proxy of any other country in any network, all you need to do is to make changes in the Advanced Browser settings of your browser and then visit the site. After you are done, you can revert to the default Advanced Browser settings. There are numerous times when you need to access a blocked website or a banned website both for business and pleasure. Further, there are also various times you want to work as an anonymous user, due to privacy or data theft concerns. At such times, you can use various methods outlined above and accomplish your purpose.